This is the perfect book for kids who love animals. On the big, sturdy board pages, they'll discover bright, bold photographs of all different kinds of animals, from pets to farm animals to birds. 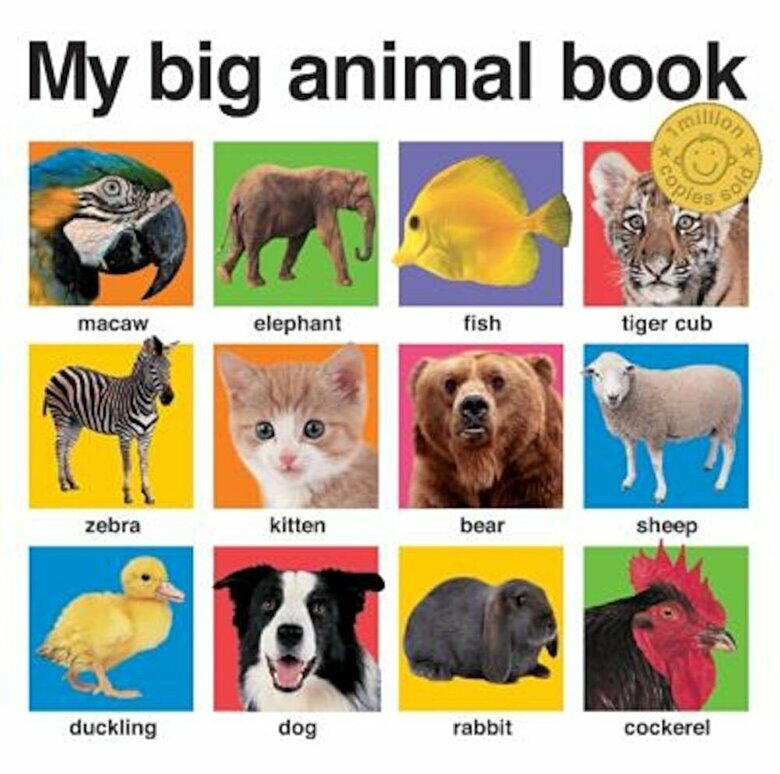 Each has their name written underneath, so that children can learn what they're called, build their animal vocabulary, and start to develop word and picture association.